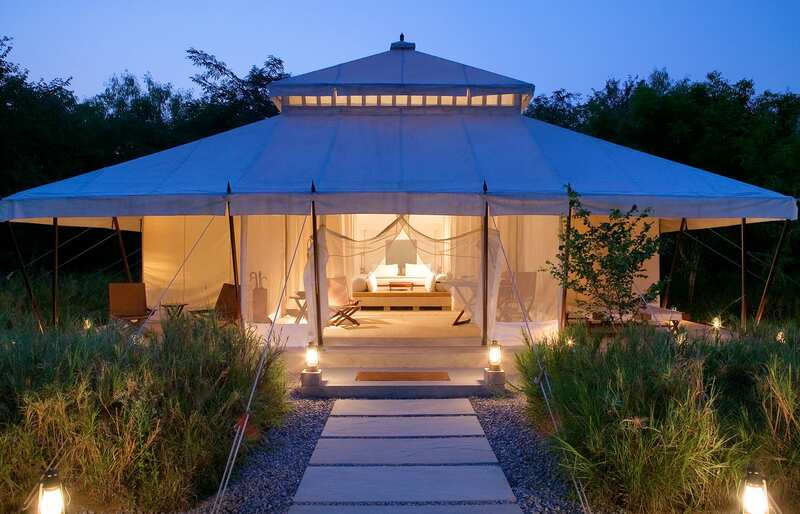 Among all the Aman resorts we visited this one is quite unusual. It doesn’t have a sprawling lobby, grand architectural features, or private infinity pools. 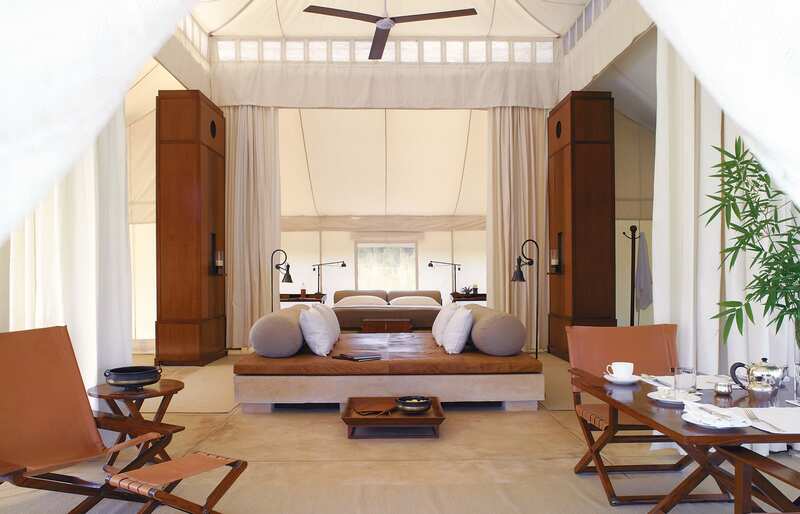 But the ten white-canvas safari tents of Aman-i-Khás are every bit as luxurious and sophisticated as just about any Aman villa. You read that right. 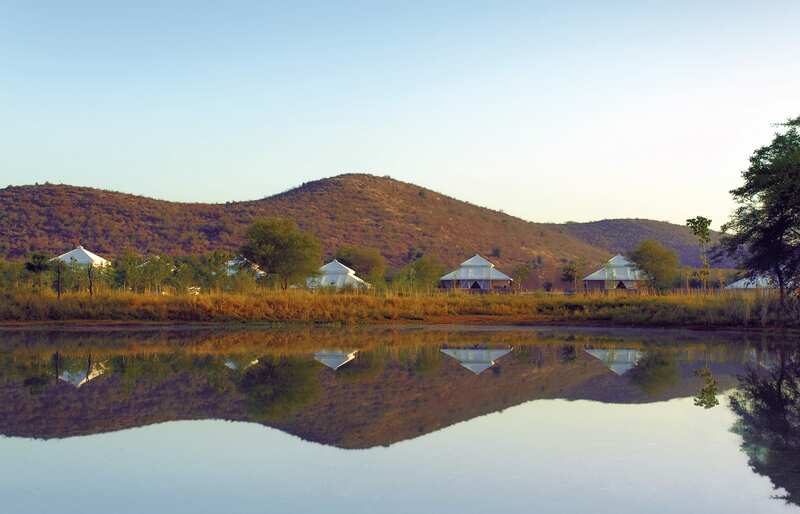 It is a safari camp, in every sense of the word, and the fact that it is does not stand in the African savanna or bushveld makes no difference. 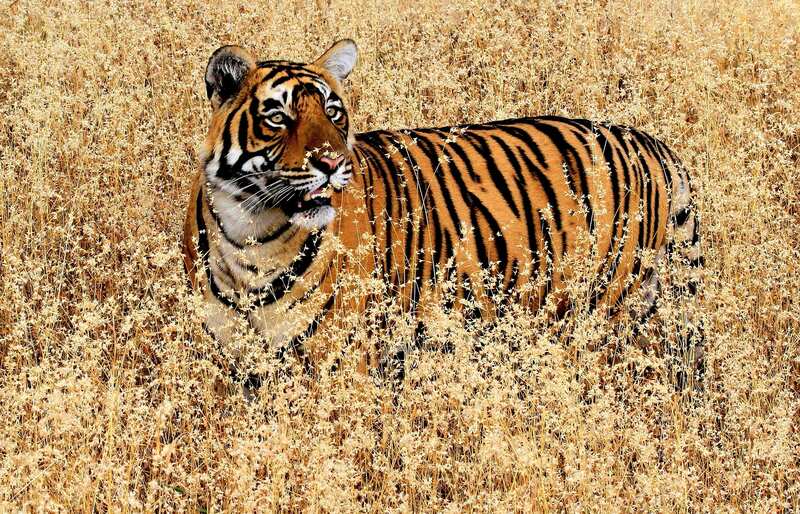 Or rather, actually—the whole difference is in the location—for the Ranthambore National Park has a unique, and endangered, animal: the great Bengal tiger. 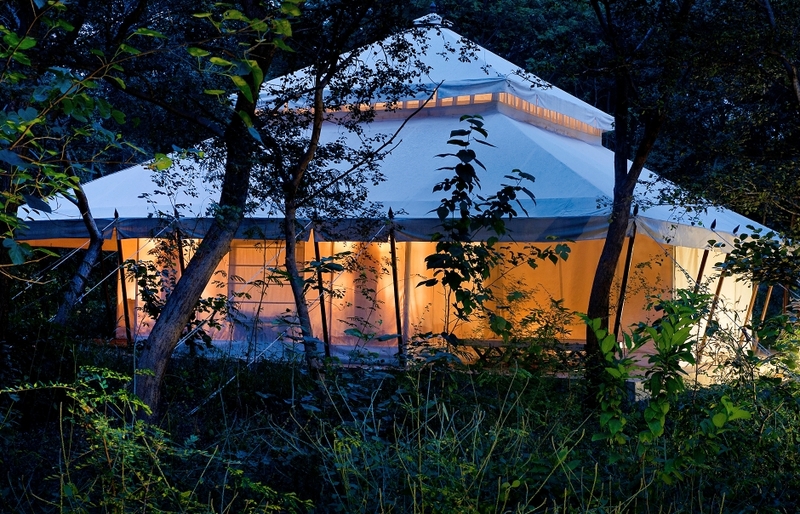 The area where this tented camp is set up, on the edge of the park, was once used for hunting by the Maharajah of Jaipur. Thankfully we live in a time in which the safari rides are organised just to catch the glimpse of the beautiful tiger, and to shoot it—with cameras. We did this too, and were lucky to see not just one, but a whole family of tigers. Lucky, because even though Ranthambore is home to about forty of these rare felines, the park is managed in a way that is quite different to what we experienced in Africa. There is a limited number of vehicles permitted to enter a lottery-assigned trail and they are forbidden to go off track (we couldn’t even leave the Aman-I-Khás’ 4×4 Land Rover). The visit to the park is a leisurely affair, except when the guides detect the tigers. This can result in a tumultuous scramble to get to the best place for tiger spotting. Back in the camp, it’s a wholly different matter. 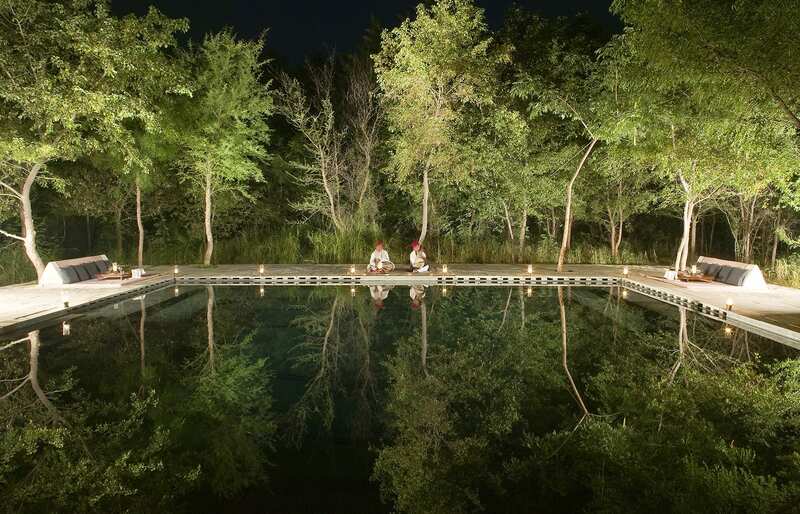 Whenever we write about an Aman resort we underscore how it always feels much more than just any hotel stay. 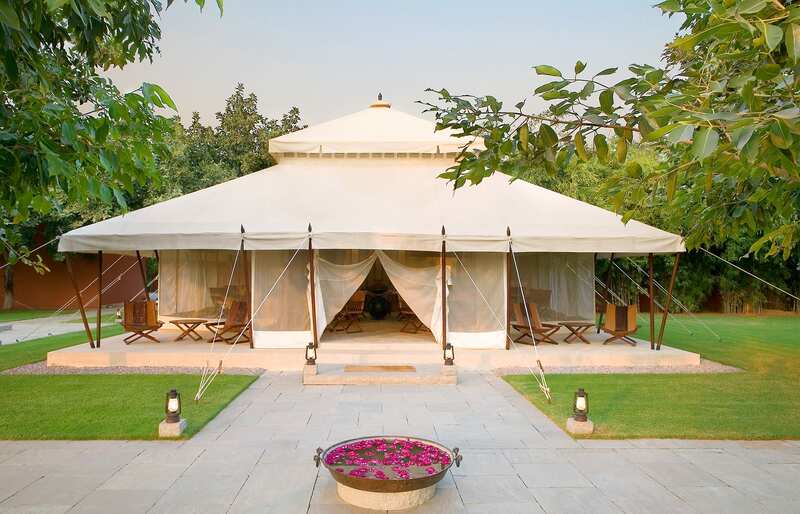 It’s an experience, unrivalled, and true also at Aman-i-Khás. All Aman properties we stayed at had different styles, yet they always “feel” as if they have a very similar… atmosphere, for lack of a better word. 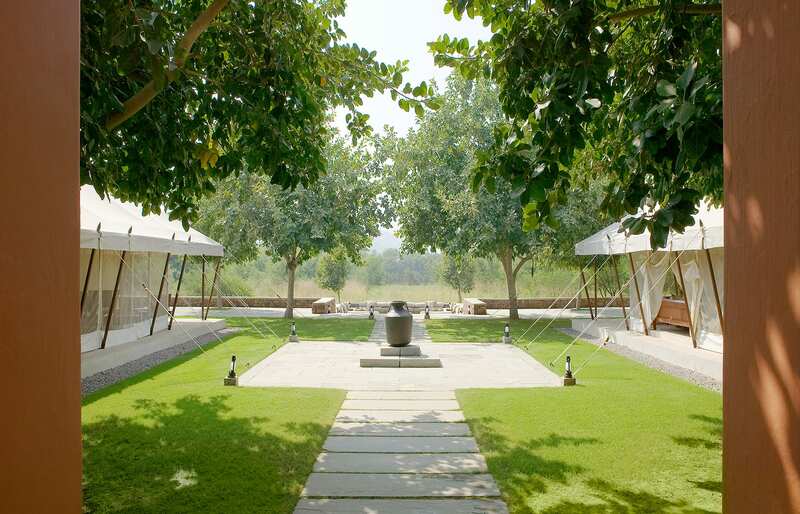 It’s a kind of luxurious ambience of quiet restfulness, very specific to Aman. Needless to say we keep coming back for it. There are more things common to all Amans. 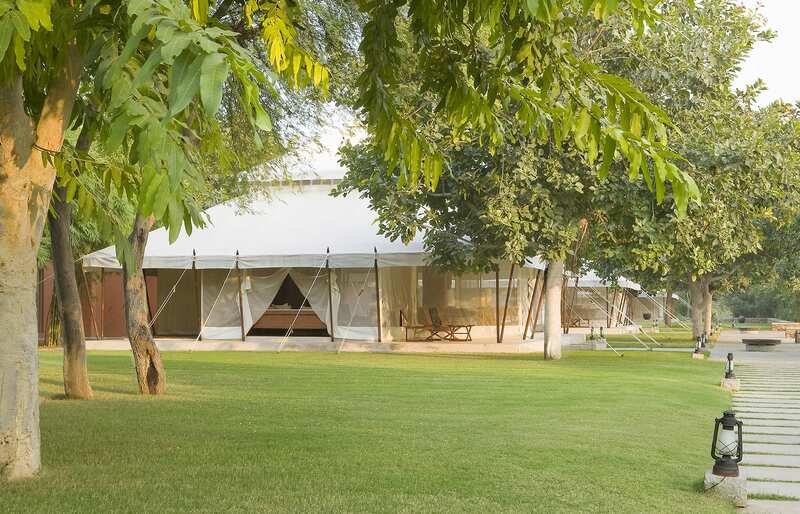 For example, the Aman-i-Khás camp felt like it belonged just to us, even if there were other guests. 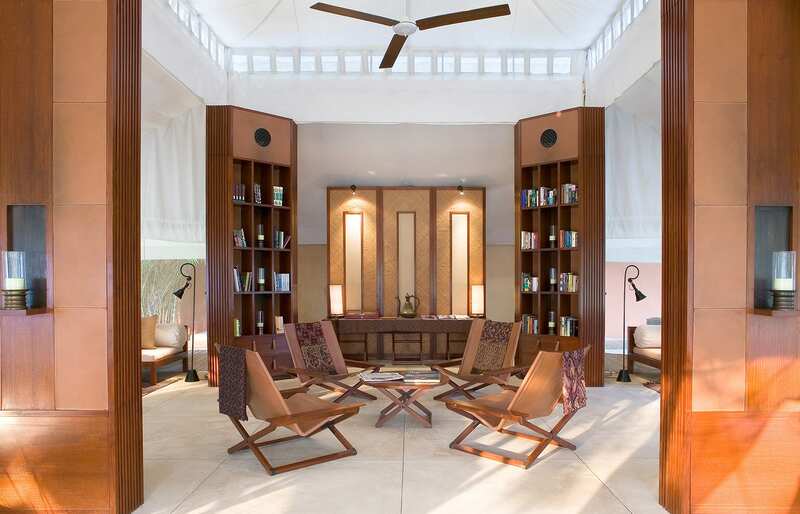 Then the staff, always discreet, with the read-your-mind attentiveness particular to the Aman style of service, made sure every need was met before we even knew we wanted something. 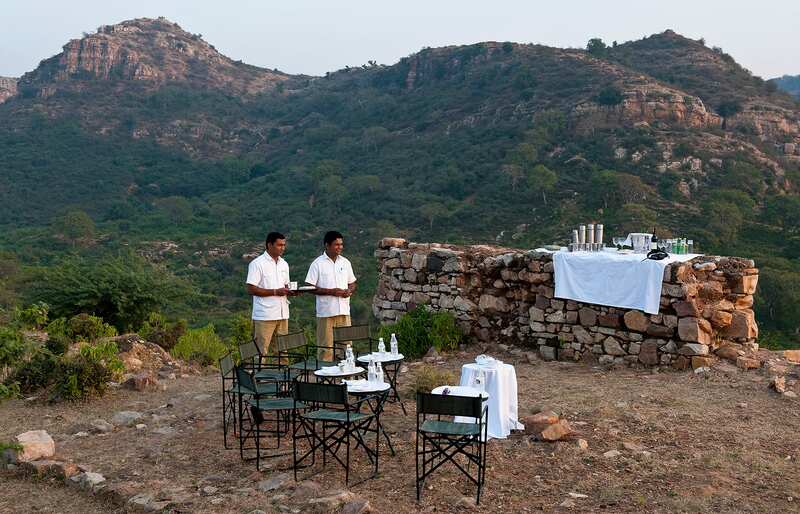 Indeed, maybe the most important shared trait of all Aman properties is the fantastic service. Finally, the oodles of space we had in our tent—almost the size of a small house—and its design. The walls and ceilings may be simple canvas, but the polished stone floors, custom leather and wood furniture—all in a charming quasi-retro style—are worthy of any chic apartment or hotel suite. 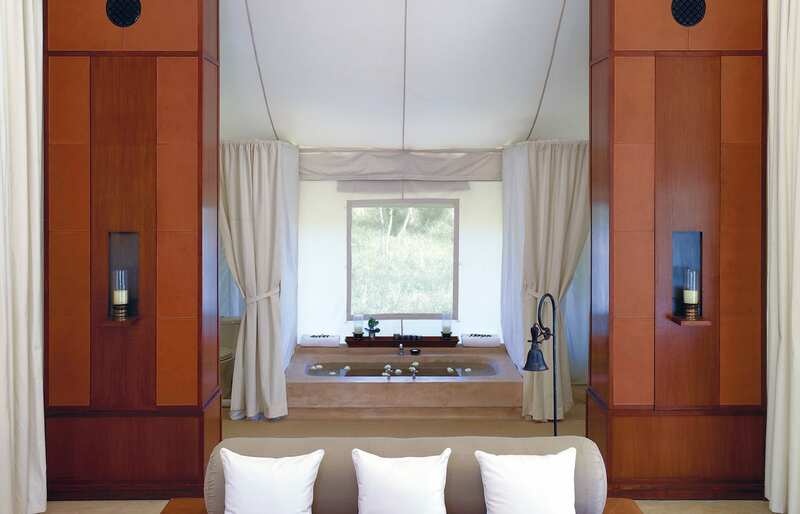 Well-known interior designer Jean-Michel Gathy, who often works with Aman, created truly discreetly elegant, refined interiors, somewhat inspired by the nomad encampments of the Mughals. 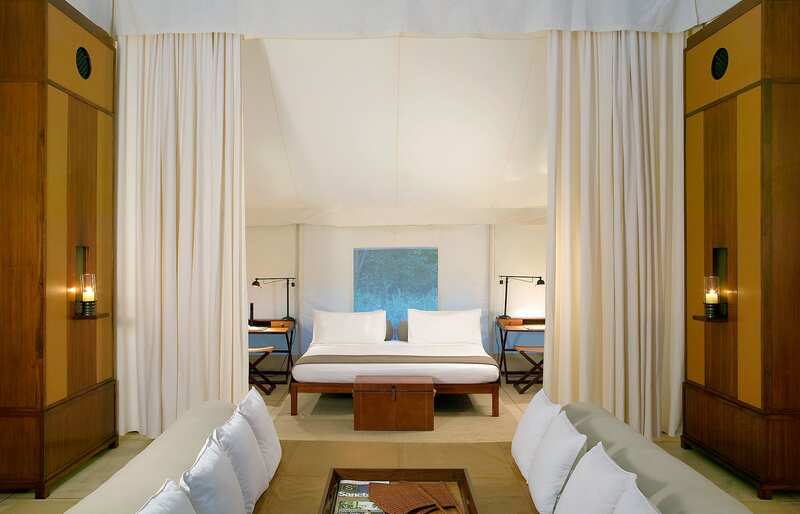 That inspiration is perhaps even more visible on the outside, thanks to the delicate shapes of the white tents. 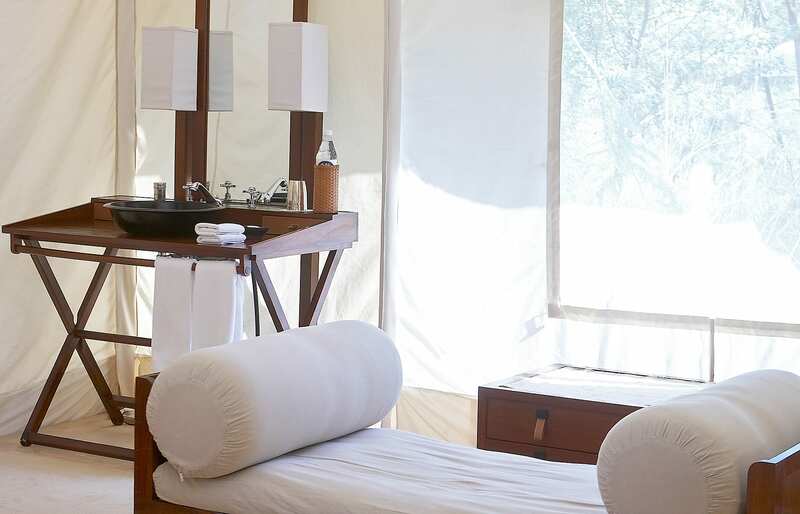 At nightfall, the exterior parts of this retreat are lit by fires, with a large campfire providing the focal point for social activity—and adding a touch of magic in the heart of the Indian wilderness. 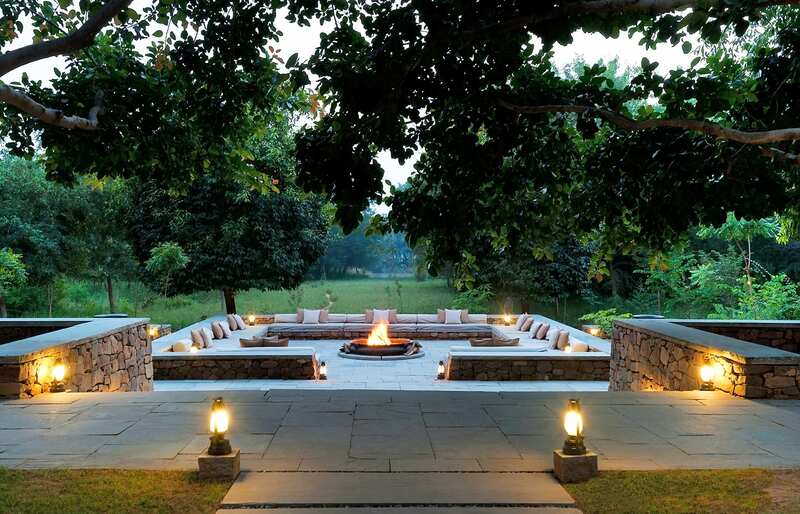 We have by now visited few Aman resorts, but our capacity to be delighted by the experience has not diminished. 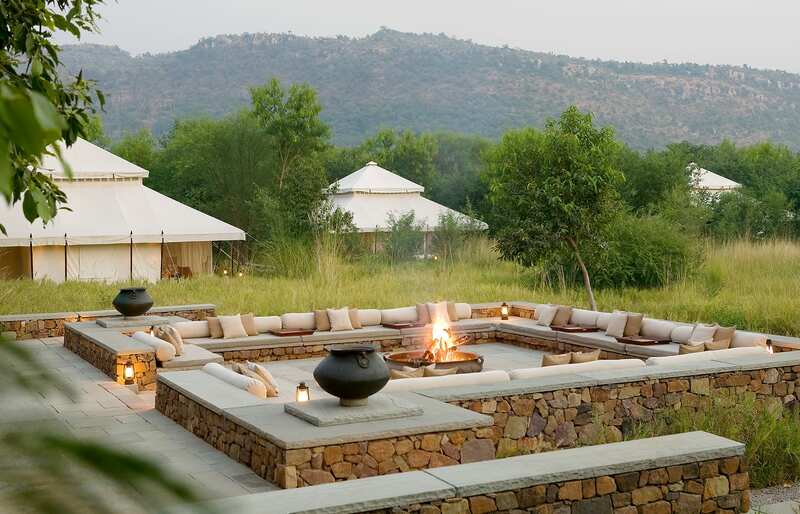 This safari camp is in many ways an outlier in our favourite resort chain, but by no means lesser for it. 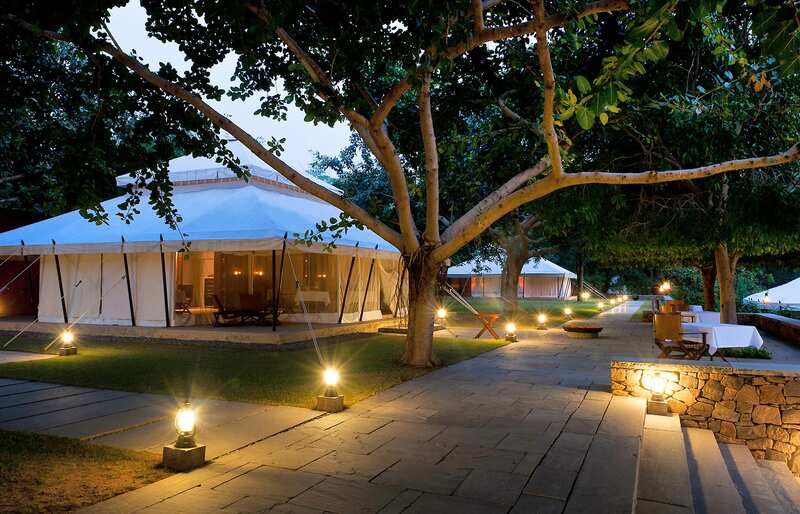 It's a beautiful and enriching stay—and we are awarding Aman-I-Khás with the Editor's Pick. 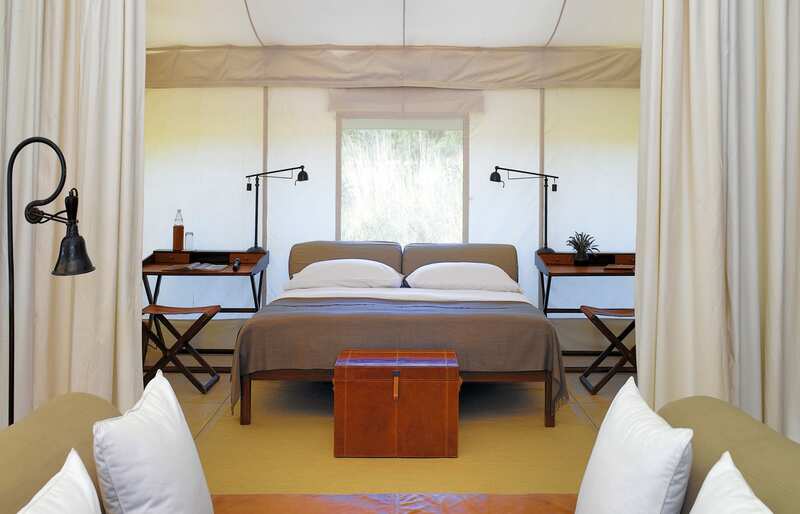 The biggest tents we ever stayed in: 108 square-metre structures with six-metre canopies—and stunningly beautiful, too. They have a distinctive local feel yet are contemporary. Their delicate shapes create sense of intimacy and fleeting beauty. Aman-i-Khás is very peaceful and its grounds are full of butterflies and peacocks. Honestly, it's like in some fairy tale. We saw not one, but a whole family of tigers, on our very first safari ride to the park! 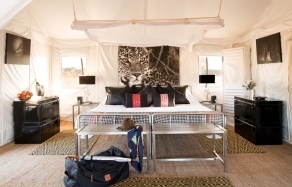 Thanks to the small number of tents, the camp is very exclusive and private. 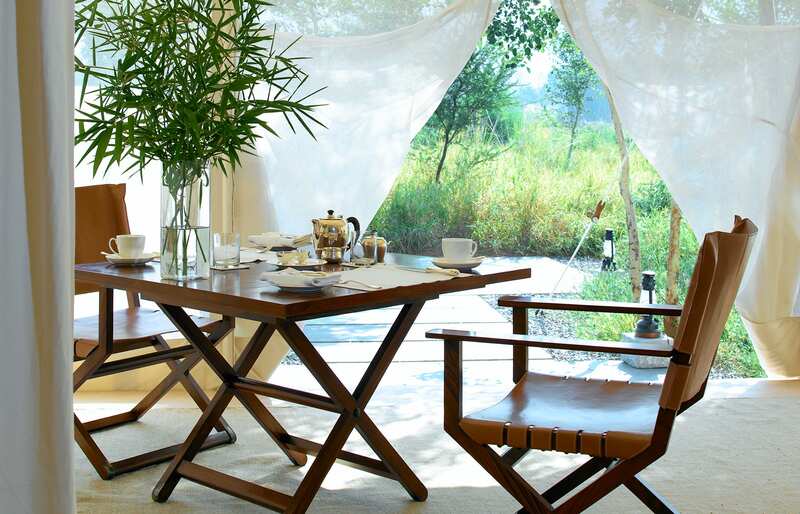 This is an Aman property, so the service is unobtrusive and exceptional, with great attention to detail. The butler is excellent. Always at hand, genuinely friendly, and anticipating every need. Food is of the highest quality. 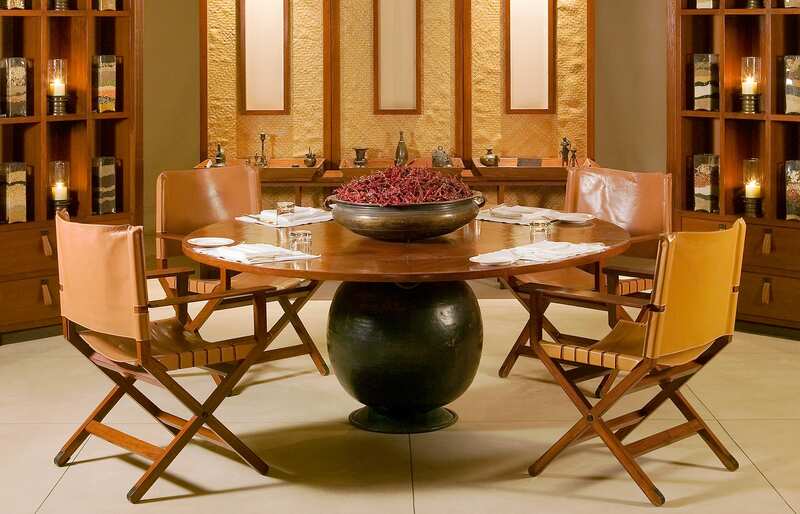 The dishes are prepared with produce grown in Aman's own garden. Menu features both Indian and non-Indian selection. We tried the spa. Heavenly! The fireplace area is a great hangout for pre-dinner drinks. Local musicians perform every evening here, adding beautiful sounds and voices to the magic of the campfire. 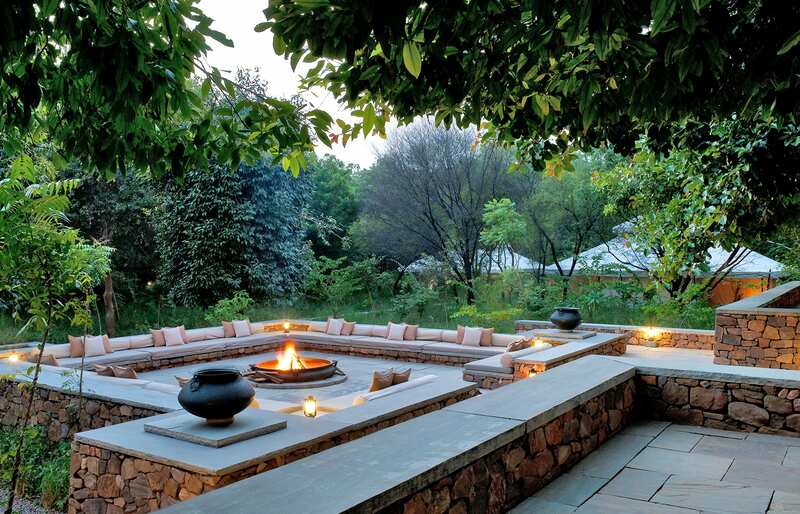 One such evening we spent chatting with Mr Dumisani Sakuinje, the camp's General Manager, who was hired from Tanzania to bring a wealth of experience in running African safari camps. A great guy with unique perspective. Wifi is a bit unreliable, but it is available throughout the camp and free. When going on the early morning safari ride, make sure to take extra blankets as it can get super cold… especially when riding in an open Land Rover. 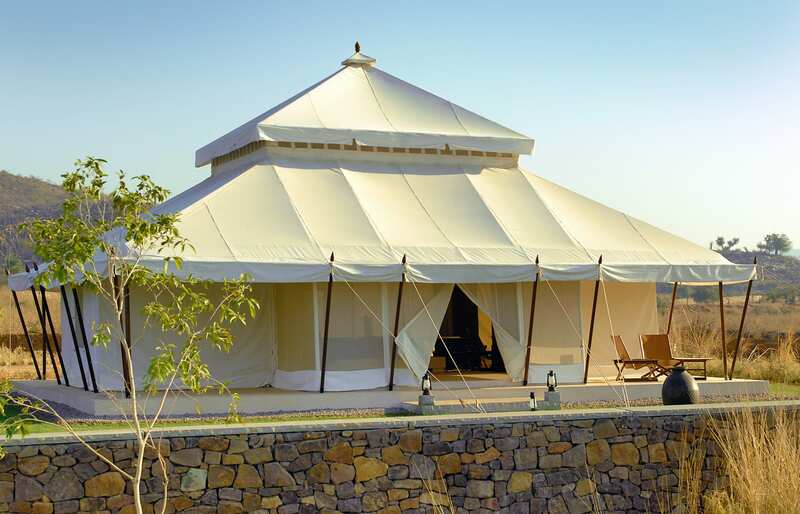 In the warmer months the tents get pretty hot during the day, despite strong air-conditioning. This is a bit silly, but we can't remember how many times we tripped over and hurt our toes on the AC shafts awkwardly positioned on the tent's floor. Ouch! When guests take the six-hour rail journey from Dehli to the park, the butler accompanies them on the train, taking care of baggage logistics and other hassles. Picnic-style snacks and tea are also served. 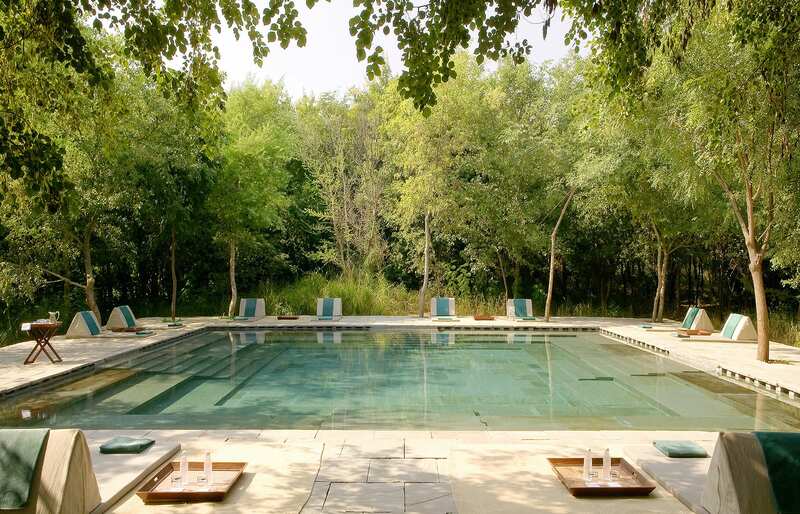 The stay at Aman-i-Khás can be combined with Amanbagh (3hrs 30 minutes away by car), and The Lodhi (in Delhi), which is a former Aman property. This is a nice itinerary—in fact we visited all of these hotels during our trip (among others). Aman-i-Khás is open from October until the end of May. October to April is the best time to visit, though December and January can be cold at night (days will still be warm and sunny). May sees the beginning of monsoon rains and temperatures soaring above 35°C during the day.